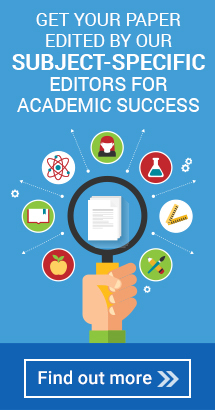 The articles featured in our monthly Author Resource Review cover all aspects of getting published -- from understanding how to submit a manuscript to improve its chances for publication, to tracking your submission through the review process, to promoting your article once it’s been published. This month, we’re taking a look back at our most popular articles of 2017 to review the articles that resonated most with our readers—predatory publishing was at the top of the list, as were articles on tracking manuscripts through the submission process and writing Quality Improvement research papers. The most-read article in 2017 was Predatory Publishing: The Top 10 Things You Need to Know, by Gale A. Oren, MILS. It’s no wonder this was at the top of the list – it’s getting harder and harder to tell the good publications from the bad. There are entire websites dedicated to listing predatory journals, such as Beall’s List of Predatory Journals and Publishers and Stop Predatory Journals, which list hundreds of journals that exploit researchers and writers to make money. Jim Beall wrote an article in 2017, What I Learned from Predatory Publishers, that reviewed the tactics predatory publishers used to get removed from his list and the damage that predatory journals cause to science. Even The New York Times covered predatory publishers in their 2017 article, Many Academics Are Eager to Publishing in Worthless Journals. So it’s definitely a timely topic that’s on the minds of authors wanting to get published in academic journals. Our second-most popular article was Decoding Your Manuscript’s Status in Editorial Manager, by Alison McGonagle-O’Connell. Once an author sends in a manuscript, it’s often hard to figure out where it is in the journal’s submission pipeline. Many authors wonder, what’s my next step? When will I hear back from an editor? This article reviewed the step-by-step process of submitting articles through this cloud-based manuscript submission and peer-review tracking system that’s used by many publishers, including Wolters Kluwer. Rounding out our top 3 was Writing Manuscripts About Quality Improvement: SQUIRE 2.0 and Beyond, by Marilyn H. Oermann, PhD, RN, ANEF, FAAN. Following the Standards for Quality Improvement Reporting Excellence (SQUIRE) guidelines is imperative for authors wanting to get their research published. The SQUIRE guidelines were updated in 2015, and this article reviewed the new guidelines and how authors should follow them to give their research papers the best chance of getting published. In 2018 we’ll be covering hot topics such as using infographics to drive traffic to your articles online, a question-and-answer session with a peer reviewer, tips and tricks for recognizing “fake” journals, and much more! We hope these articles have helped steer you in the right direction on the path to publication.